Inspired by the Arts and Crafts boom that flowered in the USA in the 1960s and ‘70s, and drawn to the great traditions of East Asia, ceramic artist Ken Pincus studied Arts and Crafts/History and East Asian Studies/Chinese, earning a BA Degree in 1977 from Cowell College, University of California, Santa Cruz. In particular, he found a source of endless inspiration in the ceramics of China, Japan, and Korea and went on to study pottery in the Tajimi region, Gifu Prefecture, Japan, in 1982, serving until 1987 as an apprentice to potter/artist Yoshihiko Yoshida. Yoshida’s philosophy, emphasizing simplicity and vitality in clay work, embodies what Ken aspires to achieve in his own pottery, including the deeper lesson of having a breadth of vision in one’s work, including historical perspective. 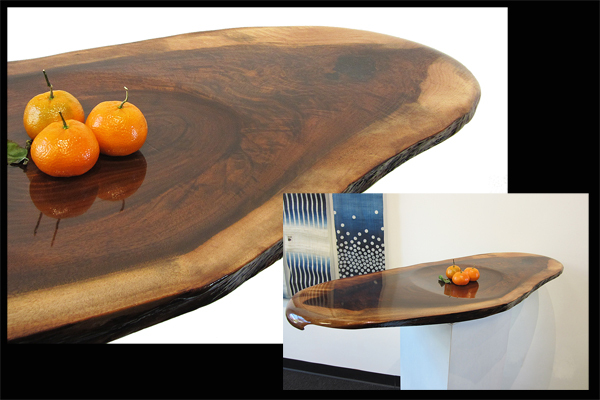 In 1988 Ken returned to the US and in 1990 established Pincus Pottery Studio in Aloha, Oregon, eventually relocating to his current studio in the hills of outer northwest Portland. There he built his Skyline Kiln, a single-chamber wood-fire kiln designed to high-fire in about 36 hours. Skyline Kiln is fired two to three times a year; a separate gas kiln, more frequently. My passion in clay continues to be stoneware, the melding of clays and glaze ingredients enhanced by additions of wood ash under high-temperature reduction atmospheres. I make ware for the dinner table and containers for flowers… My way forward with this work is to focus on each day, to learn from past experiences, to make the best work I can. To this end, I continue to study and to collaborate with others, and can only hope people find meaning and joy in my pottery. Just as people age and may provide lessons for life, so too does pottery that is still with us after many centuries. A centuries’ old bowl from the Momoyama Period in Japan, held in the hand, can tell a potter much about his craft. The old pots inspire me. I live in the contemporary world with city and forest nearby, with local clay and ash to add to the mix, and strive to make things meaningful for this time and place. The items shown on these pages are some of Ken's gas-fired pieces. 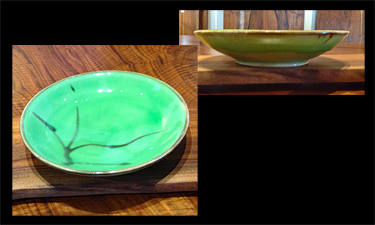 To view his wood-fired work, please visit his artist pages in Ceramics, Wood Fire, here. A lovely look for your spring table! Dimensions: 8-1/2" diameter x 2-1/4" tall. 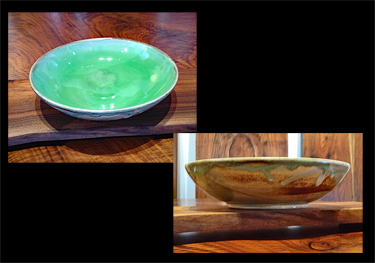 Green bowl with brown slip, glazed. A lovely look for your spring table! Dimensions: 8-1/4" diameter x 1-3/4" tall. 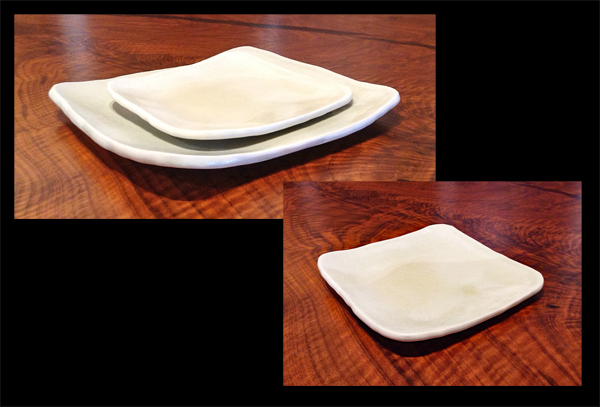 A quick look at a group of the artist's lovely white stoneware and porcelain tableware pieces. 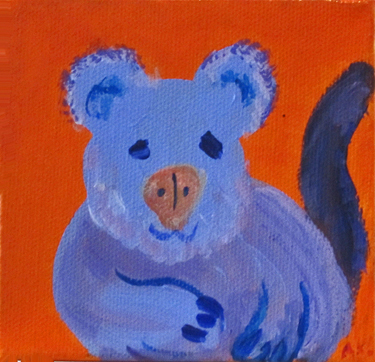 See individual listings to purchase, or contact the Gallery. White slab plate, small. 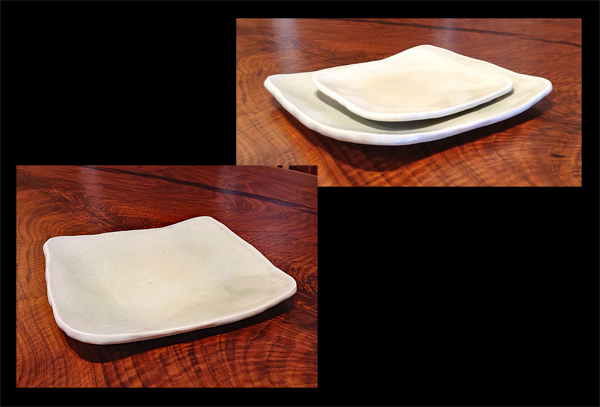 A lovely look for your spring table, and pairs beautifully with the artist's green stoneware pieces. Dimensions: 7" square. Please contact the Gallery to purchase in multiples. White slab plate, large. 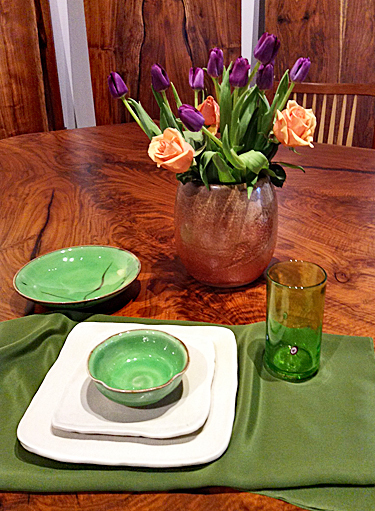 A lovely look for your spring table, and pairs beautifully with the artist's green stoneware pieces. Dimensions: 10" square. Please contact the Gallery to purchase in multiples.